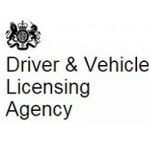 Smith Learner Drivers, only use fully qualified DVSA registered instructors with modern dual controlled vehicles, we offer full practical and theory tuition, intensive courses and block bookings for driving lessons and driving tuition. The instructors are patient, professional and reliable and understand the difficulties learner drivers face when it comes to their driving lessons. While it is not easy to find a reliable driving instructor out there, we assure our learner drivers that the driving lessons we provide are in a positive and relaxed learning environment and at your own pace, this will help you to develop your driving skills for life. Smith Learner Drivers are flexible and responsive to the needs of each learner driver who wants to learn to drive. Driving lessons can be booked at your convenience. Our instructors work 6 days a week at no extra cost; we will do our upmost to help you relaxed and enjoy every driving lesson. All our learner drivers are guided properly through a structured manner, adapting to the individual learning needs, as well as ensuring that you enjoy your learning experience with us at Smith Learner Drivers. So come along and join our driving school and enjoy your success in passing your Theory/ Hazard Perception and then your Practical Driving test with the Professionals.